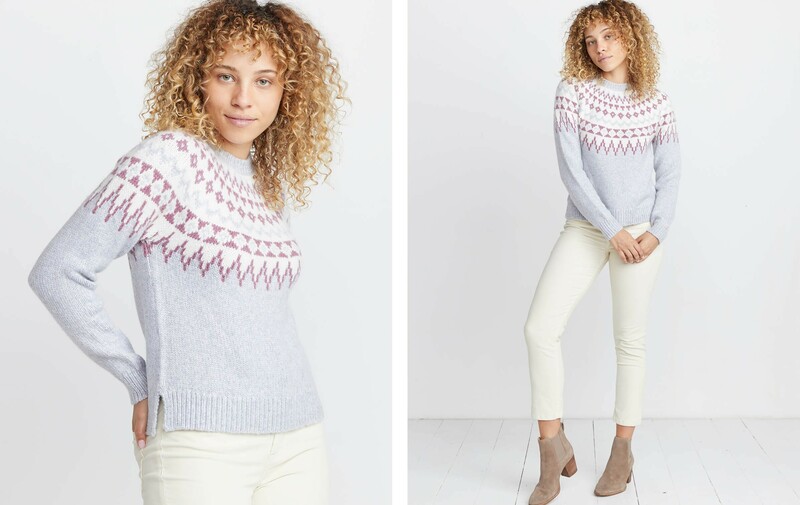 Made with a toasty wool blend that’s designed to pill less, this cozy crewneck sweater knit has a classic traditional Fair Isle pattern. 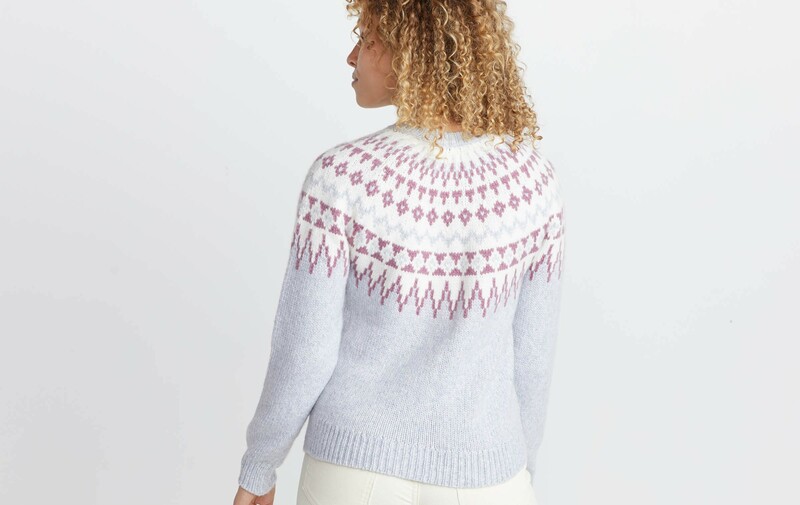 Psst.. Fair Isle is an island in Shetland, in northern Scotland. Bring that to Trivia night. 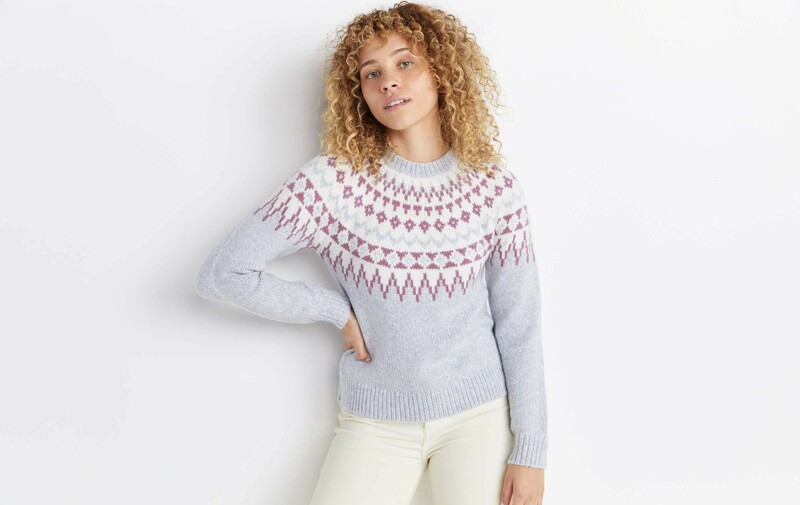 Wool and alpaca for absurd softness, poly to prevent pilling. Meaning no fuzzy lumps everywhere when you wash it.